47-58 Bastwick Street is a brand-new conference and meeting space located conveniently at the heart of London. They offer nothing short of state of the art facilities and an outstanding customer care service. 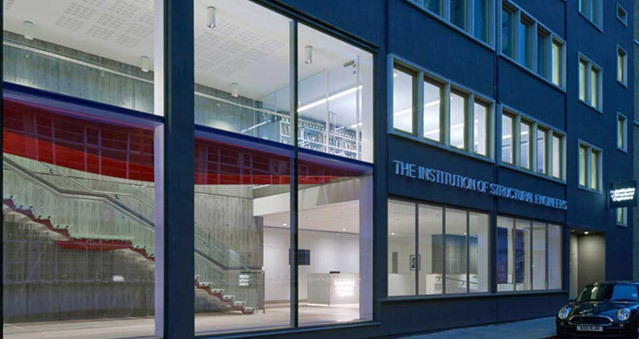 Located in Islington, only a short walk from Barbican, Shoreditch and the energetic Silicon Roundabout/Old Street area, they offer big, bright, modern event spaces in one of the capital’s most flourishing neighbourhoods. 47-58 Bastwick Street benefits from excellent transport links and has recently been refurbished to a high standard, giving it a ‘brand-new’ feel for office and meeting space. Whether you and your team are planning a training event, a conference or any other activities, feel free to tap into our abundance of expertise when it comes to choosing the venue that’s right for you. The auditorium and meeting rooms at 47-58 Bastwick Street are easily arranged to suit all of your needs, providing you with a tailored solution at an affordable price. This venue is ideal for small or large parties as it can fit anywhere between 1-180 guests. Ideal for: The Killing, Awakening the Dead, Around the World, Stocks in the City, Real Life Clud’oo, Crime and Dine, Murder Mystery, Game On, Conference and Christmas Events.